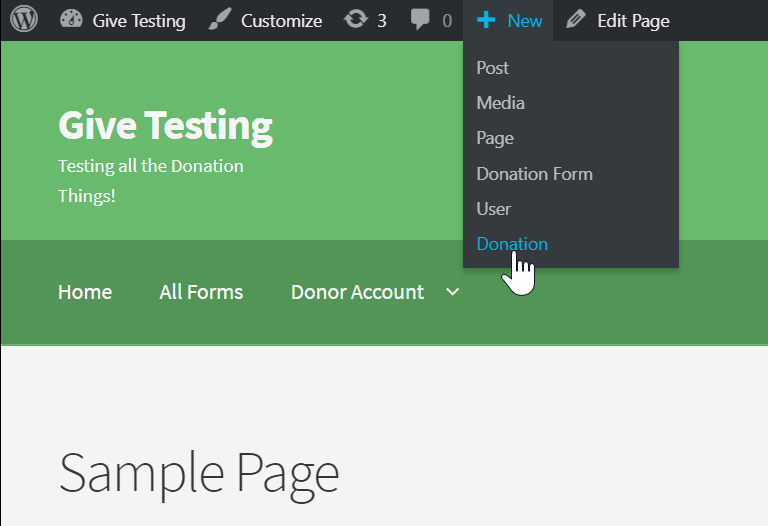 The Manual Donations allows you to create donations directly in your WordPress dashboard. Donations can be attached to a specific donor, or a new donor can be easily created during the donation creation process. 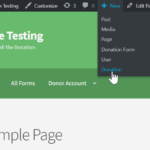 Creating manual donations is as easy as filling out a simple form and clicking “Submit”. With this Add-on you can point and click your way through each field necessary for your Give Donations, Reports, and Donor records to reflect this new Donation accurately. 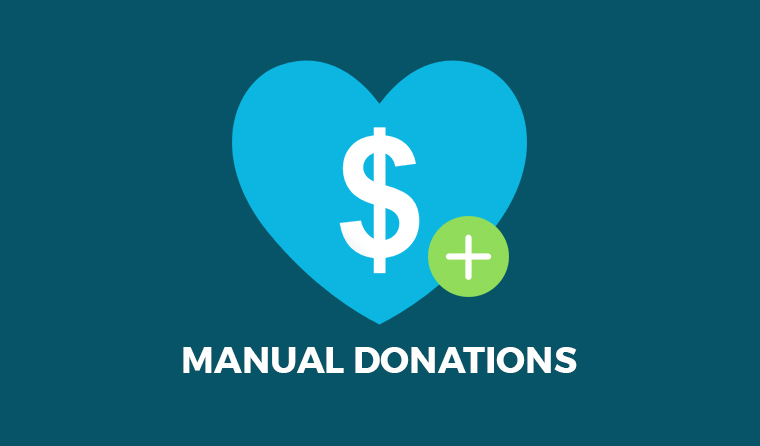 An overview of the Manual Donations process. In the animation above you can see how easy it is to create manual donations with this Add-on. You can assign the donation to any of your current donors, or add a new donor. You can choose any payment gateway you like regardless of whether it’s activated live or not. You can choose the date or the donation, whether in the past or future. You can also choose whether to have the donor and/or admin email notifications sent upon completion or not. When creating a new donation on a form that supports recurring donations, you will be presented with the recurring options available to the donor. This will create the “parent” recurring donation — the very first donation of a new subscription, essentially. 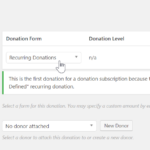 Creating a new donation on an admin-defined recurring donations form. Just like donations you receive through your public Give forms, Manual Donations are reflected correctly in your Reports, Transactions, and Logs correctly.